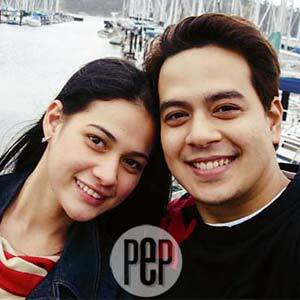 John Lloyd Cruz and Bea Alonzo, whose standing as one of the most popular love teams was cemented by blockbuster films (My First Romance and Now That I Have You) and top-rating soaps (2004's It Might Be You), did a series of shows for the Filipino-American fans of telenovelas shown on TFC, The Filipino Channel. Together with Maja Salvador, one of the leads in the defunct TV series Spirits, John and Bea performed in three key cities—San Francisco, Los Angeles, and Las Vegas. The producer of the road show, John Ling of JNL Entertainment, told YES! via email that each leg of the tour was a big success. Joe Barrameda, president of the Philippine Movie Press Club, who was invited by the producer to join the tour, says the three young stars had a grand time in the U.S.: "Alagang-alaga sila ng mga Pinoy doon. Noong nasa L.A. nga kami, ayaw ni John Lloyd sa hotel. Mas gusto niyang tumira sa bahay ng producer, para daw sama-sama at masaya."